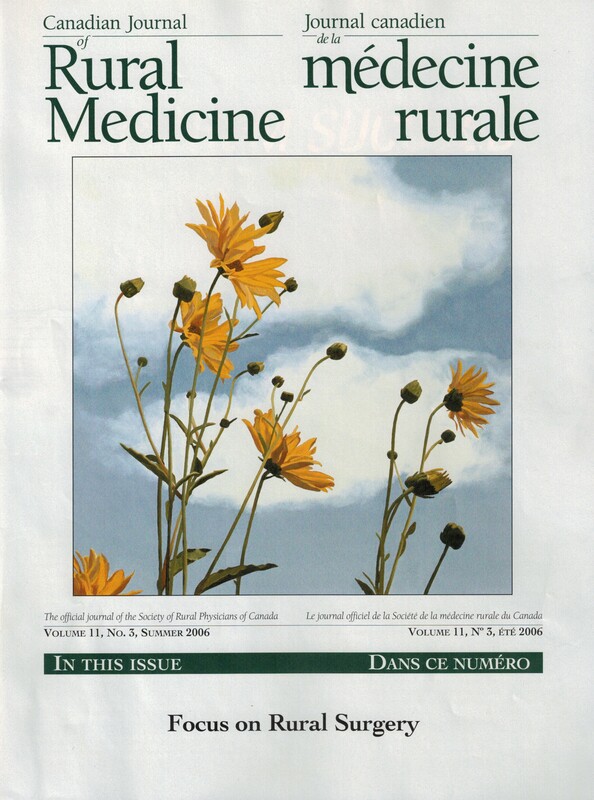 The Canadian Journal of Non-Urban Medicine? Is rural maternity care sustainable without general practitioner surgeons? Limited edition giclee reproductions available. Please see www.beverleyrichardson.com for details. 2007 art calendar available now, in support of CARD (Community Association for Riding for the Disabled).